The conceit Jawarharlal Nehru and his brand of ideologically driven politics encouraged was the notion that India had a role in transmitting Western "values" and "institutions" to an Asia that was stagnant, despotic and cruel in every sense of the word. His Discovery of India was little more than a celebration of two thousand years of Indian humiliation and a wanton denial of the grand civilizational role that India had played in world history. The denial of the civilizational ethos of India was not accidental: Nehru's skewered view of Nation State demanded such an approach. The nation state and the quest for a "state centric" history has kept historians of India engaged for nearly six decades and there is little to show except the rumbustious noise over "secular history" versus "communal history".Nehru's ghost haunts the Historiography of modern India like Banco's ghost, a farce turning into a tragedy. There have been several changes in historiographical approaches but Indian historians prefer to embrace the colonial or the post colonial perspectives and while the latter with its dense fog of meaningless jargon finds a receptive audience in Indian academia, the colonial approaches are still the norm among professional historians. Manufacturing a "national history" to justify India's trnasition into a "modern" "democratic" and "socialist" republic became the sine qua non for Indian historians. The turgid prose of Upinder Singh's successful foray into text book market does little to put India on the map of world civilizations. The message that Narendra Modi was constantly engaged in making public is that China and India had a common Asian and civilizational history stretching over 2,500 years. Even the Communist Party dominated State had to accept the view that Buddhism was a strong and enduring link between the two countries. Nehru in his utter folly allowed the problem of Tibet and the border issue inherited from the infamous Younghusban expedition tomcloud his understanding of China. 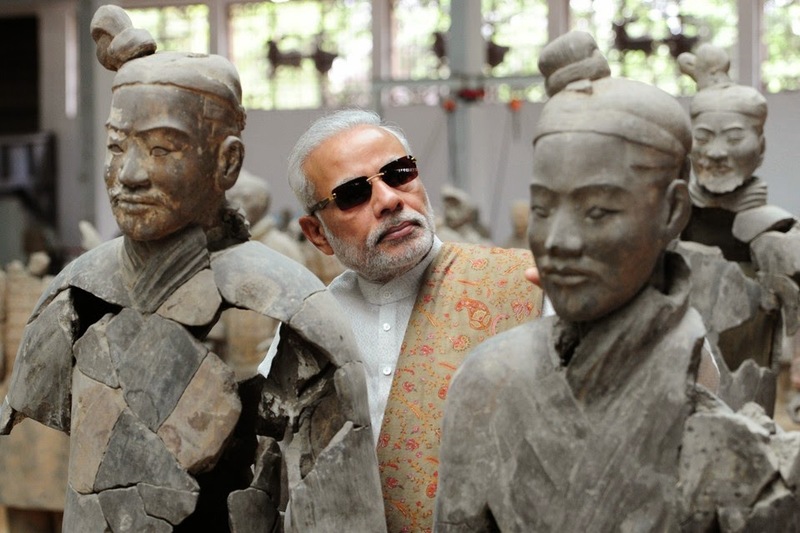 Modi's vision of an Asia led by China and India is more appropriate to the history that links these two countries.